Last night I noticed the worst thing ever to a nail-biter attempting to reform - a big old break in on of my nails! It was very far back as well, over the nail bed so that it was rather painful. 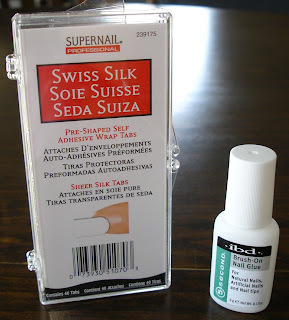 In the past, this would have led me to probably biting off all ten of my nails (sad, I know), but this time I bandaged the nail for the evening, ran off to Sally Beauty this morning and got some items for nail repair. Overall I am very pleased with the outcome! With some help from the fabulous people at Sally, I picked out some Supernail Swiss Silk wraps, as well as 5 Second Brush-On Nail Glue. 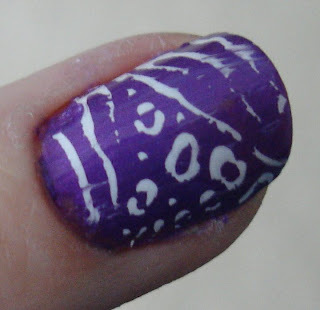 I first cleaned off the nail and made sure it was dirt and oil free, then I cut off a small strip of the silk wrap and applied it to the break. I took pictures of the process, but unfortunately I had my flash on for some and they were way to bright - I tried to correct them on the computer but only one was salvageable, so I do not have an image of the silk itself. After the silk, I added two layers of the nail glue to the nail. 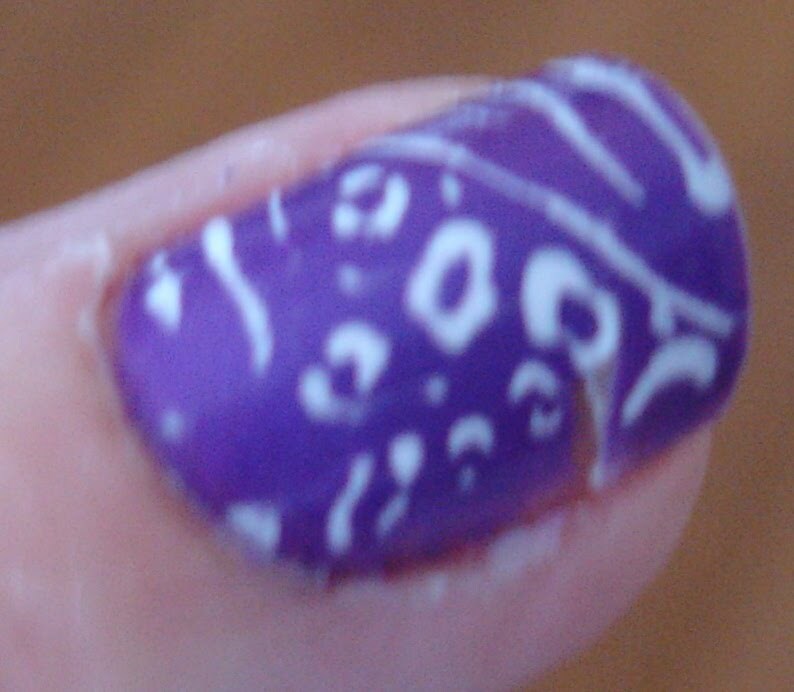 After waiting for the glue to dry, which took several minutes, I buffed down the glue and silk as much as possible to smooth them out over the nail surface. I did not do too much buffing, however, because I did not want to weaken the area since I know it is going to take me a long time to grow this out to the point where I want to trim past the break! After buffing down, I added a coat of NailTek I - Maintenance, my normal base coat, then started my normal painting process. 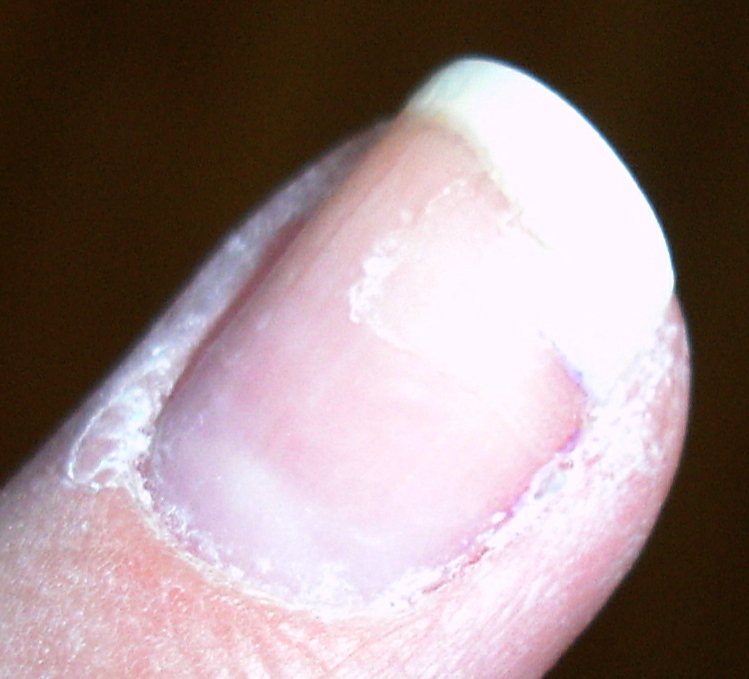 You can see below what the nail looks like with just base coat, as well as with one coat of polish. With just the one coat you can clearly see the elevated area with the silk. 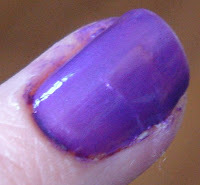 I applied another coat of polish (for two coats total), Konad, and two coats of Seche Vite fast dry top coat. The final results are below. 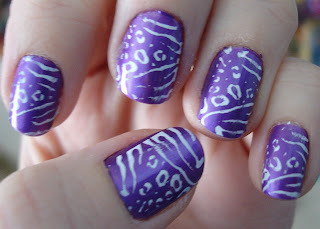 The final result, all nails together! 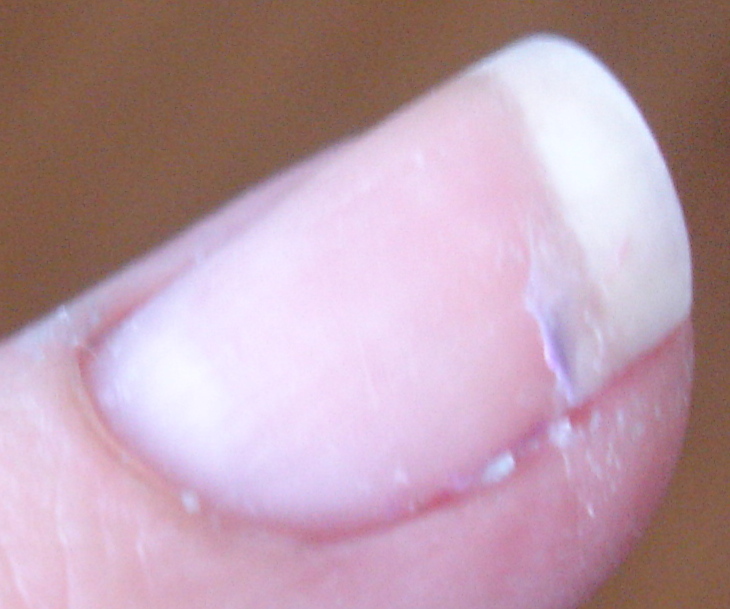 The nail feels very strong now, and I am hopefully that I can keep it together while it grows out, even if I have to repeat this procedure once more. If you look closely, you can see the raised area where the silk is, but overall it is pretty difficult to see it, and I don't think you would see it if you weren't looking for it. What do you all think? 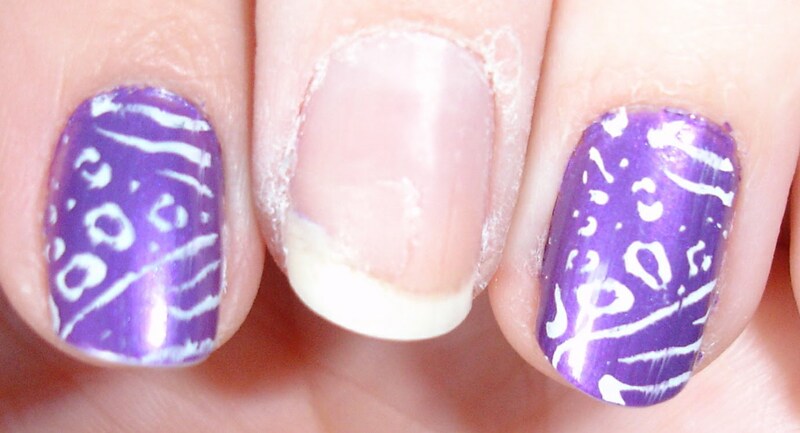 Is this the best way to repair a broken nail, or do you have a better way? I am definitely open to suggestions - this is just what I found online, as well as what the ladies at Sally Beauty suggested. I would love to here your thoughts and opinions! Not sure if it would work for that or not. But again, probably the nail glue would work. 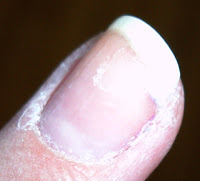 Or Super Glue if you have it (turns out Muner wasn't crazy after all, I read this online several times). Then you could use that base coat I got you on top of it. Good luck, call you soon. Love you!